Last week the folks here at Fabrisonic got to a try a really cool new 3D printed product. 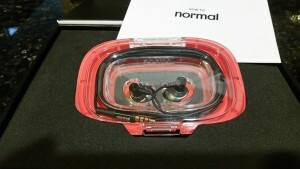 Normal is a new tech startup that is 3D printing high end ear buds customized to each individual user. To make your very own set of customized ear buds, you start by downloading the normal app on to your smart phone. The app guides you through the process of taking numerous pictures of your ear and a quarter for sizing. Once the pictures are complete you make a few color selections and your new ear buds show up two days later. This a great new use of 3D printing. Fabrisonic is excited by all of the new business models being generated by this flexible manufacturing technology. Who know, in the future you may be able to buy laminate metal earbuds…….